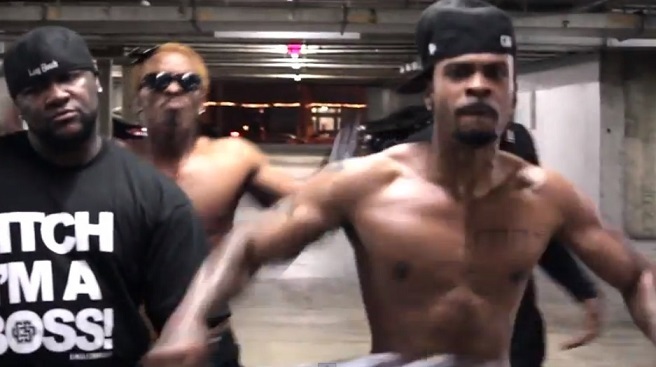 Horseshoe Gang releases a new music video with “Small-Pacs.” Rapper Crooked I shows up in the beginning to introduce viewers to the group and breaks down the inspiration for the song’s title. Take a look as the Long Beach natives take their act to the streets and perform to the camera while delivering a lyrical tirade over three different instrumentals. “Small-Pacs” is not featured on the group’s recent Top Ramen N!&&@ project and more than likely will land on their upcoming Mixtape Monthly Vol. 1 which is set to release on November 21. Check out the music video to all see a special public service announcement from the Horseshoe Gang about their upcoming Mixtape Monthly campaign. This entry was posted in Music, Video and tagged crooked i, hip hop, horseshoe gang, Long Beach, Music Video, rap, small pacs. Bookmark the permalink.